I almost can’t believe it…the album…it’s ready! To celebrate, I made this month’s episode of the podcast a music edition – and created an album showcase. During this hour-long episode, I play you some of the tracks from the album and talk you through them, going into a bit of detail about the meaning of each song and how they were made. 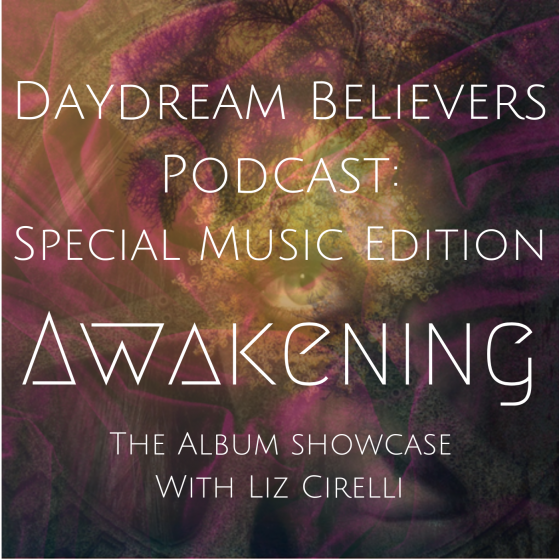 I named this album Awakening because the journey of its creation has been one of tremendous growth and realisation for me. Throughout the process of its creation, I have learned to let go and push past a lot of fear. I’ve had to overcome a lot of obstacles – and I’ve had to find the faith to be able to let go and surrender to the journey. I want this album to be an example to everyone of what is possible when you’re truly committed to something. When you awaken and answer the call of your soul. When you put the fear and excuses to one side and put everything you have into achieving your purpose. Because what we’re capable of is way, way more than what we think we’re capable of. Please comment below with your thoughts – I’m really looking forward to hearing what you think! Thank you so, so much for listening. Thank you so much for being here. If you’d like to follow me on Spotify, here’s your link! The album was mastered by Gary Gray – my mentor and dear friend. I could not have gotten the album to sound as beautiful as it does without his skill and expertise.